Windfall Orchard is known for its farmers market stands in Burlington and Middlebury, where its tables hold bottles of ice cider, cider blends, and crates brimming with just-picked apples like Paula Red, Chenango Strawberry and Cox's Orange Pippin. 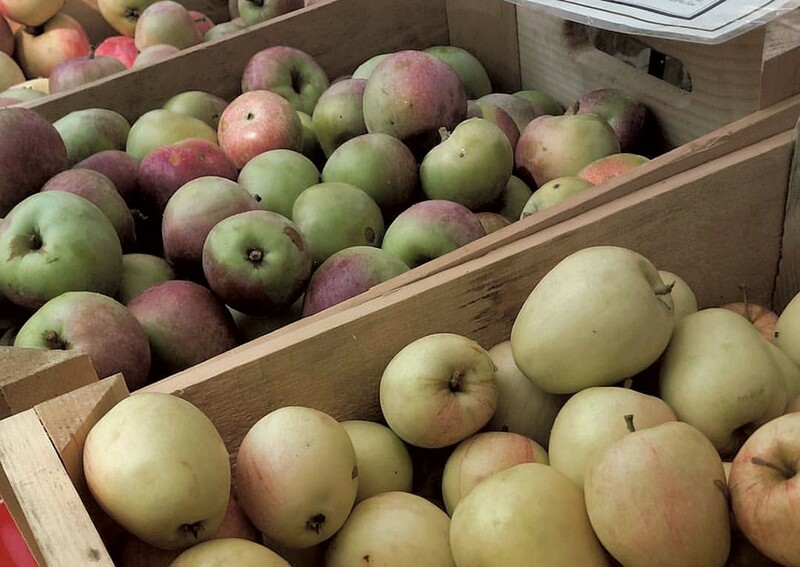 The small, 60-year-old apple orchard in Cornwall has been owned since 2002 by two stalwarts of the Vermont food scene. Brad Koehler is a former instructor at the New England Culinary Institute who now works at the orchard full time. His wife, Amy Trubek, is a trained chef and cultural anthropologist who serves as faculty director of the graduate program in food systems at the University of Vermont. The two self-proclaimed "accidental orchardists" restored the aged orchard and now grow more than 80 varieties of apples — plus plums, pears, cherries and quince in season — saving a portion of the harvest to press into mineral-sweet hard ciders. Windfall Orchard recently obtained an event license to hold monthly dinners on-site, showcasing both the orchard's bounty and the owners' culinary prowess. Starting in mid-October, the dinner series will center on the wood-fired cooking suite at the heart of the property, complete with a brick oven, smoker, grill and cast-iron griddle top known as la plancha. "We're just getting started with our menu ideas," says Koehler. "But our wood oven won't be for pizza." Instead, expect abundant, family-style platters of Oaxacan-style tlayudas — freshly made tortillas topped with puréed black beans, queso fresco, and seasonal ingredients such as squash blossoms or fire-blasted peppers and onions. Other possibilities, says Koehler, include "authentic pork carnitas cooked in the wood oven, Oaxacan chicken mole ... and homemade tacos." In the works for spring 2017 is the orchard's "tasting grotto," to be constructed on the ground floor of the couple's home on the property. Modeled after an antique cider cellar, it will double as an event space and have a modest bar for sample sips and snacks. The original print version of this article was headlined "Chefs at the Orchard"